Get yours in October if you pre-order. Valve announced today that the first batch of Steam Machines, along with the Steam Controller, will be ready for release in November. Coming November 10, you’ll be able to get your hands on Alienware’s Steam Machine ($450), Syber’s Steam Machine ($500), the Steam Controller ($50), and Steam Link ($50). If you pre-order through the Steam Store, or Gamestop however, you can get them earlier, on October 16. If you didn’t know, Steam Machines are basically living-room PC’s, designed to offer people the traditional PC gaming experience without having to actually build one yourself. While Alienware and Syber were the only two shown off on Steam’s store, expect a lot more machines coming out, with the price ranging from $500 to a staggering $1500. The Steam Controller, and Steam Link both release in November as well. The Steam Link and Controller Bundle will retail for $99.89. As you can tell from the video above, the controller is essentially fully customizable in terms of button mapping. You can set button settings for individual games, or even download community button configurations. Steam Link is a tool that lets gamers stream their PC games to their televisions over a local Wi-Fi network. Dual-stage triggers, each with 10° of travel, a magnetic flux sensor, and a tactile switch. Gyroscope and accelerometer sensors enabling tilt-to-steer racing wheel functionality and other motion-controlled input. Local multiplayer capability, as supported by games. Wired or wireless (dual mode) USB 2.0 via Micro USB port (cable not included). Provides up to 80 hours of standard game play using the included AA batteries during preliminary testing. Battery life will vary based on usage and other factors, such as type of batteries used. In-box Steam Controller 2 AA batteries USB wireless pairing dongle. What do you think? 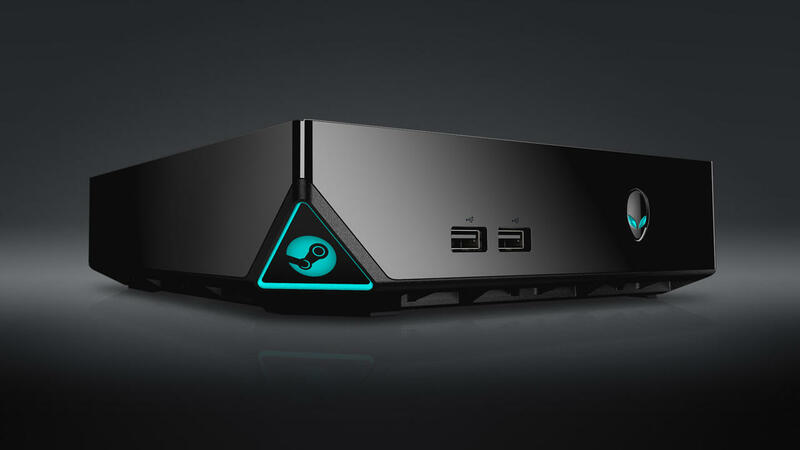 Will you be picking up any of Valve’s Steam devices when they launch in November? Sound off below.